Home / Shop / Brands / Matrix / Matrix MX E5X Commercial Remanufactured Elliptical. Call Now For Lowest Pricing Guaranteed! Matrix MX E5X Commercial Remanufactured Elliptical. Call Now For Lowest Pricing Guaranteed! The Matrix MX E5X cross trainer can help you work out your upper and lower body without causing a lot of stress to the joints. 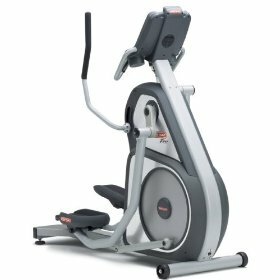 This elliptical trainer has 20 levels of resistance, providing you with numerous options on the intensity level of your exercise. It can also keep you motivated throughout a workout as it displays important workout statistics like stride rate, speed, calories, elapsed time, and heart rate. These details are shown on its LED screen. It can accommodate exercisers weighing 400 pounds or less, and has a stride length of 21 inches. 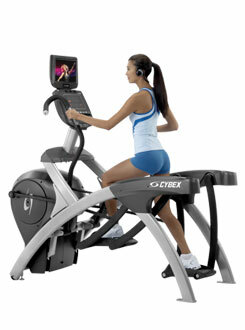 The Matrix MX E5X can be likened to the Precor EFX 576i Experience Elliptical in several ways. Both models can display exercise statistics like elapsed time, strides per minute, calories burned per hour, and heart rate. 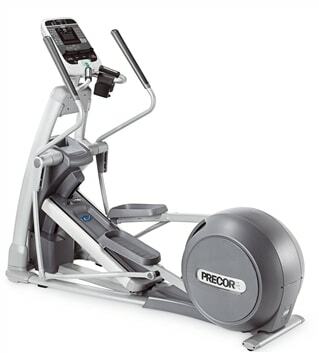 Like the Matrix MX E5X, the Precor EFX 576i has 20 levels of resistance. Both the MXE5X and the Precor EFX 576i also have quick start buttons. But there are also lots of differences between these two elliptical trainers. The Matrix elliptical trainer, for one, has a longer stride length of 21 inches compared to the 18 inches of the Precor model. The Matrix model is also slightly bigger than the Precor trainer. But the Precor model has more preset programs at 14 compared to the seven of the Matrix MX E5X. And the Precor model has eight language support. Still, the Matrix MX E5X is a good addition to any home or commercial gym with its standard features. 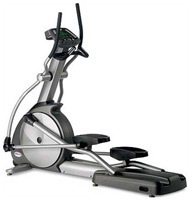 1 review for Matrix MX E5X Commercial Remanufactured Elliptical. Call Now For Lowest Pricing Guaranteed! Thank you Joan, It was our pleasure to assist you and thank you for your business.